Do you need to replace your Clarkdale hot water storage tank? Hot water isn't a luxury. It's a necessity. So when it's time to upgrade or replace your Clarkdale, Georgia hot water tank, make sure you're getting the right system for your home. From system design, to installation and repair, R Fulton Improvements can recommend a Clarkdale energy-efficient hot water system that will keep pace with your family's needs. Call (678) 251-9181 for more information and a free Clarkdale hot water installation quote. Fueled up and ready to go. R Fulton Improvements offers a variety of hot water storage models for Clarkdale homeowners. Choose from conventional, tankless, or heat pump systems, whether you use oil, gas, electric, or solar power. R Fulton Improvements can help determine what size tank your family needs, so no one ever runs out of hot water. Call (678) 251-9181 to speak with one of our GA licensed HVAC contractors, specializing in Clarkdale hot water tank installation. R Fulton Improvements has been installing hot water tanks in Clarkdale for more than 20 years. Want to lower your Clarkdale hot water bill? You could be spending more money than you have to on your energy bill. Make sure your Clarkdale hot water tank isn't wasting water, heat, and your money. Invest in a new, more efficient hot water tank before your current one fails, particularly if it's more than 10 years old. Install heat traps and insulate the hot and cold pipes. 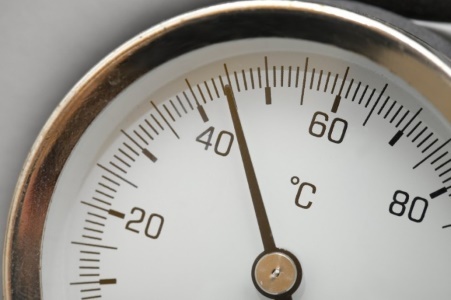 Lower the thermostat on your water heater to 120°F. Install aerating, low-flow faucets & shower heads to reduce hot water consumption. Repair faucet leaks to avoid wasting gallons of unused water. Insulate your hot water storage tank. For more information or to schedule an energy audit of your Clarkdale, GA hot water system, call (678) 251-9181. R Fulton Improvements has been installing hot water tanks in Cobb County, Georgia for more than 20 years.